The round shaped steel dibbi is one of the most beautifully designed products. It is simple yet attractive and shows the true colors of rajasthani Read More..culture. 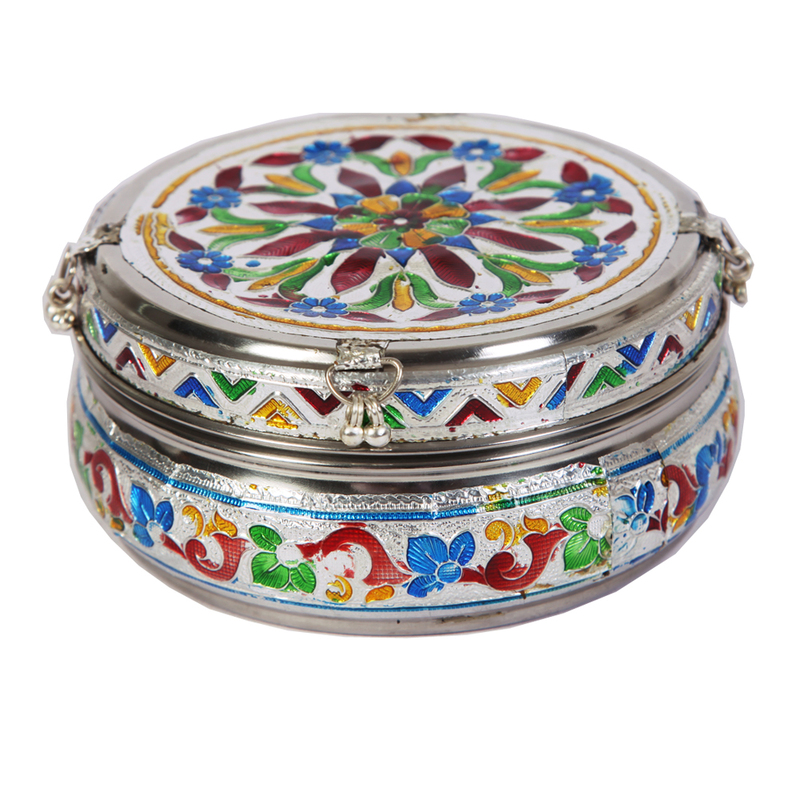 Colorful designs in the form of rangoli is depicted on the upper lid of the dibbi. The bottom portion too is clad with such magnificent designs. The interior of the dibbi is kept plain and simple. Meenakari design is greatly sculpted in this. Show Less..